Many synagogues now require their b'nai mitzvah to perform a minimum number of hours of social action as part of their preparations (the Mitzvah or Tzedakah Project). On a simple level, this requirement adds a moral dimension to their studies and celebration, but it could mean so much more. The act of loving-kindness could set in place a lifetime of community service, highlighting the importance of tikun olam (repairing the world) as an integral component of adult Jewish life. Some youth take this task very seriously, accomplish great things and continue to serve after completing their Mitzvah project. Others are somewhat less committed and reap little personal satisfaction from the activity. The benefits of service require a psychological commitment to the process, not simply a time commitment. Further, while participants in most extracurricular activities perform better in school, those involved in service and religious activities experience lower rates of drinking and drug use. Other demonstrated benefits of service include increased resilience, development of a sense of social responsibility and community belonging. One study that followed 603 high school students over time found that service involving direct interaction with people in need led students to favorably judge their contribution to the sponsoring organizations and altered their self-awareness. In turn, changed awareness increased helping behavior toward strangers and led to higher likelihood of future volunteering and of voting, working on a political campaign, and demonstrating for a cause. Last month, more than 2500 high school students and their teachers, committed to community service, met in Philadelphia for the annual Service Learning Conference. I was fortunate to attend the conference and to hear the great things young people can accomplish. The most inspiring of all was one of the keynote speakers, Hafsat Abiola, a 27-year-old human rights and democracy activist from Nigeria. Please feel free to share her story with your children. On the stage stood a tall, beautiful, articulate young woman, soft-spoken but firm, appearing somewhat uncomfortable in her role as spokesperson. She told the story of her father, Chief Moshood Kashimawo Olawe Abiola, who won Nigeria's 1993 Presidential election, but was immediately placed in solitary confinement, incarcerated by the military. 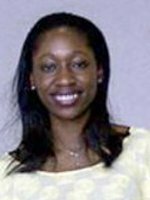 Thousands of miles away, Ms. Abiola was a college student at Harvard University, worrying about her father and the plight of Nigeria but not knowing what to do. One day while walking on campus, young people collecting signatures on a petition approached her. She attempted to avoid them, assuming that their cause was frivolous in light of her personal situation, but they persisted. When she read the petition, she was shocked to find that it called for the release of her father! These young people did not know her or her father, but believed in his cause and were committed to helping him. Ms. Abiola cried, realizing that she was not alone in her plight, and with the encouragement and support of these and other young people, began to speak about the Nigerian dictatorship. Tragically, her father died of mysterious causes while in jail and her mother was assassinated in 1996, but undeterred, she carried on their cause. In 1997, the year she graduated from Harvard, she founded Kudirat Initiative for Democracy, an international non-governmental organization devoted to supporting democracy and development in Africa by strengthening organizations and creating initiatives dedicated to the advancement of women and youth. In 1999, Nigeria re-achieved independence and is on its path to rebuilding thanks, in part, to the tireless efforts of Ms. Abiola and her organization. She was quoted as saying, "Actually, [my parents'] death had a positive effect. It encouraged me because I could see right away that we really have no control over when we die. We have a limited time when we are on earth to do things. So, it becomes important that we do things that mean most to us and that can really have an impact." While few of us can expect that our children will have the impact of Ms. Abiola, it is important to remember the important role of the young people in Boston who supported and encouraged her. As long as our children make not only a time and monetary commitment to service, but also a psychological and emotional one, they will make a difference in the lives of others (and in their own lives). It is important to remember that advocacy and service are primarily voluntary activities conducted during our children's free time, and, so, help them pick an activity that they enjoy. There are so many ways to help. Here are some questions created by Danny Siegel of the Ziv Tzedakah Fund, to help your children find the right activities for them. What are the needs of the person we want to help? What am I good at? What do I like to do? What bothers me so much about what is wrong in the world that I weep or scream in anger and frustration, or am speechless at the horror of it? Volunteer Match: Their Mission is to help everyone find a great place to volunteer. Jewish Relief Agency: Help 57,000 Jews in the Philadelphia make ends meet. Jewish Family and Children's Service of Greater Philadelphia: Works with people to develop betters ways of understanding and coping with life's challenges. Dr. Flaura Koplin Winston parenting @ pjvoice.com, Founder and Scientific Director of the Center for Injury Research and Prevention at the Children's Hospital of Philadelphia. © 2006. Permission is hereby granted to redistribute this issue of The Philadelphia Jewish Voice or (unless specified otherwise) any of the articles therein in their full original form provided these same rights are conveyed to the reader and subscription information to The Philadelphia Jewish Voice is provided. Subscribers should be directed to http://www.pjvoice.com/Subscribe.htm.